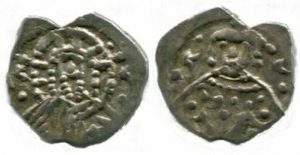 For images of the coins mentioned below, see the gallery to the right of this page. In 1092, Emperor Alexios I Komnenos (1081-1118) reformed the Byzantine gold coinage. His reform reversed the debasement which had been progressing through the eleventh century. This can be considered as the beginning of Late Byzantine coinage. 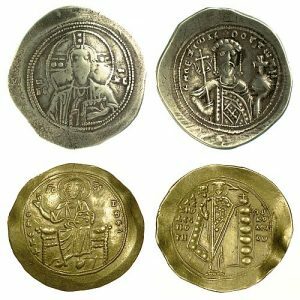 The concave shape of the coins continued to mark the Late Byzantine coinage, as it had done during the eleventh century. Iconographically, these three and a half centuries saw the increasing use of holy figures, not just Christ and the Theotokos, but military saints, patron saints and archangels too. 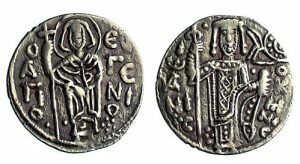 The mint of Thessalonike combined these by striking a larger number of coins depicting Saint Demetrios – a military saint used occasionally elsewhere, but also the patron saint of Thessalonike. 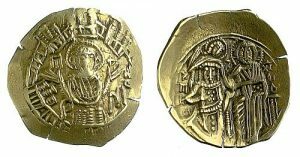 As more images crammed onto the coin dies, however, so the quality of the engraving (an admittedly subjective assessment) seems to have decreased. 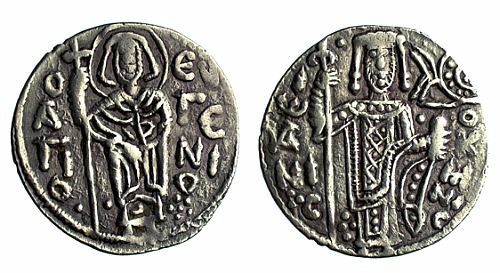 Some of the coinage seems to have become less centrally controlled as regions such as Trebizond and Cyprus became semi or fully independent of Constantinople around the turn of the twelfth century. The capture of the city of Constantinople by the participants of the Fourth Crusade in 1204 marked a major watershed in Byzantine history. Following this, the Empire split into a number of parts, each with its own coinage. The recapture of Constantinople in 1261, under Michael VIII Palaiologos (1259-1282), the Emperor in Nicaea, is equally marked on his coinage (an example of which is shown in the header to this page, above). 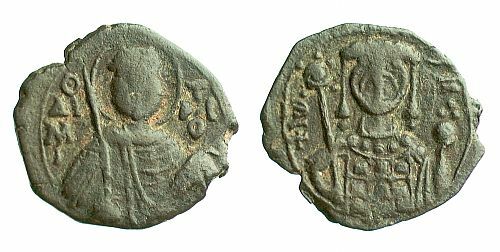 On the obverse it shows the Theotokos (Virgin Mary), the patron saint of Constantinople, within the walls of the city – the Queen of heaven in the queen of cities. On the reverse, Michael VIII is presented, kneeling, by the Archangel Michael to Christ. By the reign of the final Hellenophone Christian emperor at Constantinople, Constantine XI Palaiologos (1449-1453), the Byzantine Empire (what remained of it) was extremely short on metal to produce coins to pay the troops to defend the Empire from the increasingly powerful Ottoman Empire. Consequently, the coins from these final four years are quite rare and not terribly visually attractive, though historically incredibly interesting. 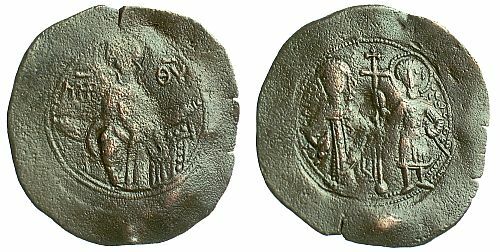 Outside of the capital, the “Empire” of Trebizond lasted until 1461. The Barber also has holdings for this state, about which more can be viewed here.